Fiat Chrysler’s CEO Sergio Marchionne is not one to dream small. During the brand’s annual meeting in Amsterdam earlier this month, Marchionne stated that he could see Fiat Chrysler Automobiles building a rival to Tesla’s new Model 3. 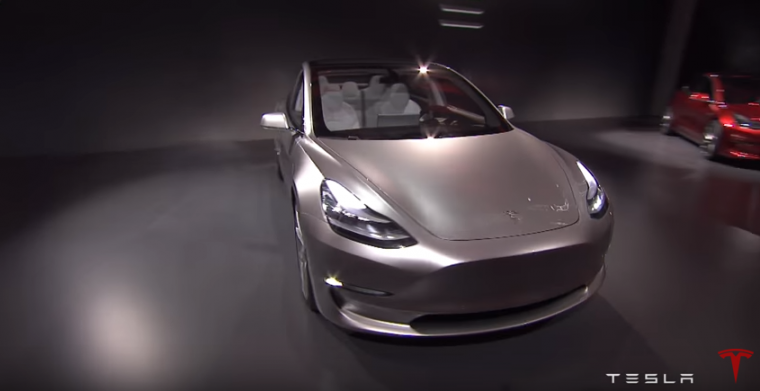 The Model 3 was unveiled earlier this month with a $35,000 price tag. So far, Tesla has reported as many as 400,000 advanced orders. Currently, the Italian-American carmaker has the 500e, an electric version of the Fiat 500 minicar, in select US states. The car isn’t offered in any of the brand’s global markets, though. Fiat Chrysler’s brands also offer a few hybrid variants, including the new 2017 Chrysler Pacifica, which will be available as the first-ever hybrid minivan later this year. If Fiat Chrysler does decide to introduce a Tesla Model 3 rival, it would be the first electric car it will offer in the global market. Along with possible plans for a luxury electric vehicle, Marchionne also touched on the topic of partnering with another carmaker to help build Fiat Chrysler medium-sized cars in the United States. It’s well known that Marchionne has been actively looking for a automotive partner—eventually leading him to be compared to a crazy ex that won’t take “No” as an answer. Now, it appears that the Italian-American carmaker has received more partnership offers than we thought. Marchionne’s plan to partner up for its mid-size car production is part of Fiat Chrysler’s future focus on SUVs and crossovers. The brand has started to emphasis the Jeep brand significantly, and plans to introduce more Jeep models to its lineup in the future.